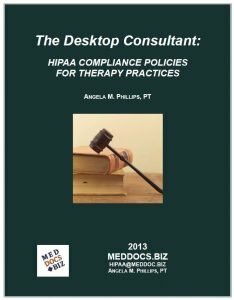 A full set of policies and procedures for small therapy practices to use in complying with HIPAA Privacy and Security requirements. All in Word and Adobe format for ease in editing. 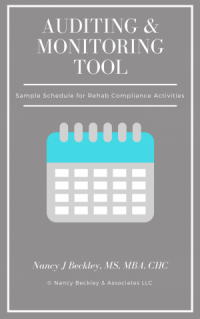 This exciting product provides over 200 pages of policies for rehabilitation services and includes over 40 individual policies drafted to assist small therapy practices in meeting the requirements of the HIPAA Privacy and Security Rules. Each policy includes references to the appropriate guiding regulation to allow the user to easily identify the regulation governing the policy or procedure. And, like the rest of the Desktop Consultant Series, the product provides you with the policies in a “full book” pdf for ease in printing for review along with individual Word documents so that you can customize the policies to your individual practice setting. 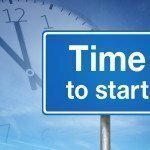 This valuable tool, written by a therapist for therapy services, is designed to provide you with the required policies for meeting the requirement in a few easy steps: Download, customize, train! Note: We are pleased to offer this by agreement with author Angela Phillips, PT and MedDocBiz.